Manipur is a state in northeastern India, with the city of Imphal as its capital. Its people include the Meetei, Pangal, Naga, Kuki, and Mizo, who speak different languages of branches of the Tibeto-Burman family. The state is bounded by Nagaland to the north, Mizoram to the south, and Assam to the west; Burma lies to the east. It covers an area of 22,347 square kilometres (8,628 sq mi). Area : 22, 327 sq.km. Parliamentary Constituencies : 2 - nner and Outer Manipur Parliamentary Constituencies. A brief about Manipur’s Rich Arts and Culture: Manipuri Classical Dance one of the renowned Classical Dances of India presented through Raas Leela. Apart from the Classical Dance Manipuri is equally endowed with its Folk Dances, performing Arts and the different tribal dance of the various communities. Manipur: The Sport Power House of India. Manipur is the Sports Power House of India producing famous pugilist Mary Kom and others like Dingko, Sarita etc. The Players of Manipur not only brought laurels to the Country in various International events like Olympic, Commonwealth Games, Asian Games but also Manipur has been dominating the National Games event by getting the largest Medal Tally. Manipur is also equally gifted in terms of Handloom and Handicrafts which is also one of the largest livelihood generations after Agriculture. Crafts such as Kouna Crafts, Cane and Bamboo and Handloom have the potential for International Market. Manipur gave the Game of Polo to the world. Manipur is the birth place of the Game of polo which is locally known as Sagol kangjei. 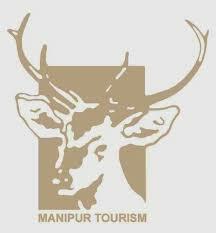 Manipur has produced famous personalities in the field arts and Culture and Theatre. Ratan Thiyam an Internationally acclaimed Threatre personality revered by various theatre personalities around the world.